The organisers of the Rod Stewart concert which is scheduled for May 16th 2009 at the Adeje Golf Course have announced that tickets are now on sale. More information about the concert, purchase of tickets, flight and hotel packages can be obtained from web site www.canaryfestival.com Ticket prices range from €50 if you don’t mind standing, up to €175 for a front row seat. After the successful Sir Elton John concert , and the confirmation of Rod Stewart, Canaries Sun Live Festival are working on the production of shows from three other great artists for 2009, a project that has already been submitted to different governmental authorities. 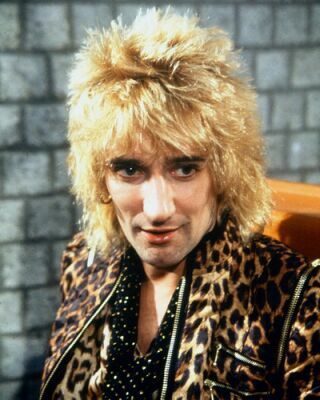 Sometimes it is not all doom and gloom, and this morning my day was suddenly enlightened when I heard that my teenage heart throb Rod Stewart is to perform in Adeje, next May. It brings back memories of being a teenager in trouble with parents for sticking his posters all over my newly papered bedroom wall. I did win this argument because removing them would have ruined the wallpaper, I remember being grounded for a weekend for the offence, but it was well worth it. The concert date is set for 16th May 2009 and is being organising by “Sun Live Canarias”, the same company who organised the Elton John concert last January. A press conference is being held in the next few days to confirm the venue and ticket arrangements and a spokesman from the company says further superstar concerts are in the pipeline for Adeje. Watch this space for more info – but I’m first in the queue for a ticket!